Monday evening marks the start of Pesach, or Passover, and with it comes a week without yeast or leavened bread. In New York it’s business as usual. But in Israel, the supermarket supplies of flour, bread, and chips began to dwindle the first week of April. Bars won’t serve beer. Take a moment to process that one. And observant individuals thoroughly clean their homes (sort of an imposed Spring cleaning) and rid the kitchen of any chametz, or items not deemed Kosher for Passover. So I figure some of you have some challah to get rid of. Some of you might not have any challah at all, in which case you should go get some so you can make this French toast. I made challah a few weeks ago (so easy! Will post the recipe, which I forgot at home, when I am back from vacation and not sitting in the Budapest airport…) for a dinner party and completely forgot to serve it. Can you imagine? So the next day I needed to put my hard work to good use. 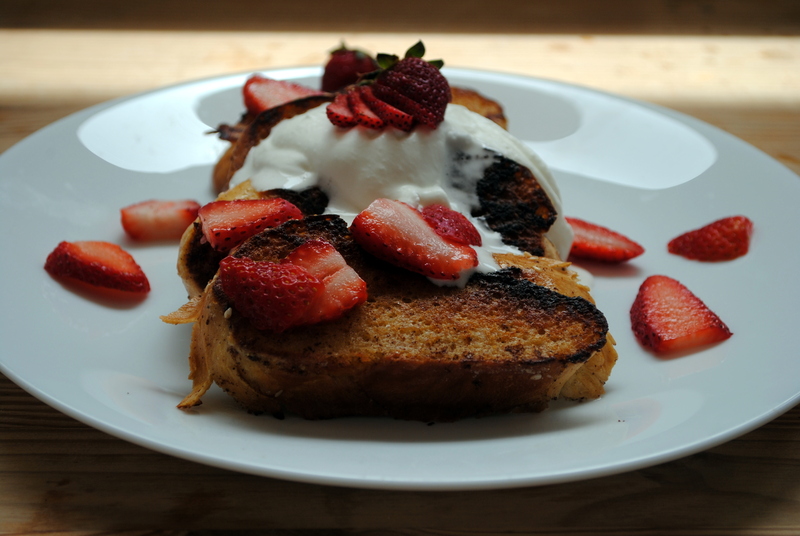 And there’s no better use for day old challah (homemade, no less) than challah French toast. Whisk together the eggs, half-and-half, sugar, cinnamon, and orange zest in a shallow bowl. 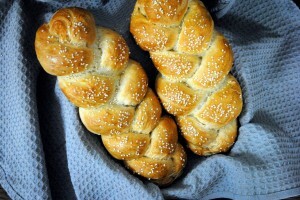 Dip in each slice of challah for 5 to 6 seconds per side; don’t soak too long as challah is very absorbent. 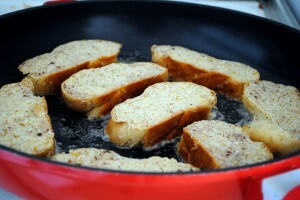 Use a griddle or flat saute pan to make the French toast. Melt enough butter to lightly coat the bottom of the pan; heat until foamy. Working in batches, add the bread and brown each side until dark golden, about 3 minutes per side. Repeat with the remaining bread (keep warm in a 200F oven, if desired). 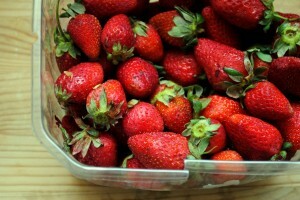 Serve with fresh whipped cream and sliced strawberries. Looks fabulous, I may have to try! Thank you!! My photos don’t do it justice here. It’s really a stellar recipe from one of my favorite breakfast spots 🙂 Thanks for stopping by!